AmeriChannels offers companies worldwide a complete marketing and sales solution for introducing products to any target market. 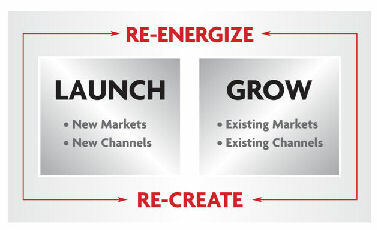 Led by a team of sales and marketing experts with more than thirty years experience throughout North America, Europe, and Asia Pacific, we provide global consulting, strategic partnering, implementation and distribution services to help you gain successful entry into new markets and channels or develop incremental revenue streams in existing ones. Whether your company seeks to introduce new products globally or is looking to expand in North American markets, AmeriChannels proven techniques can assist you in efficiently developing and sustaining rapid growth and awareness.